Server sends a block, waits for ACK, then sends the next block Server must to handle duplicate/lost packets. EOF: When the client receives a block that has less than 512 bytes, it knows this is the last block. 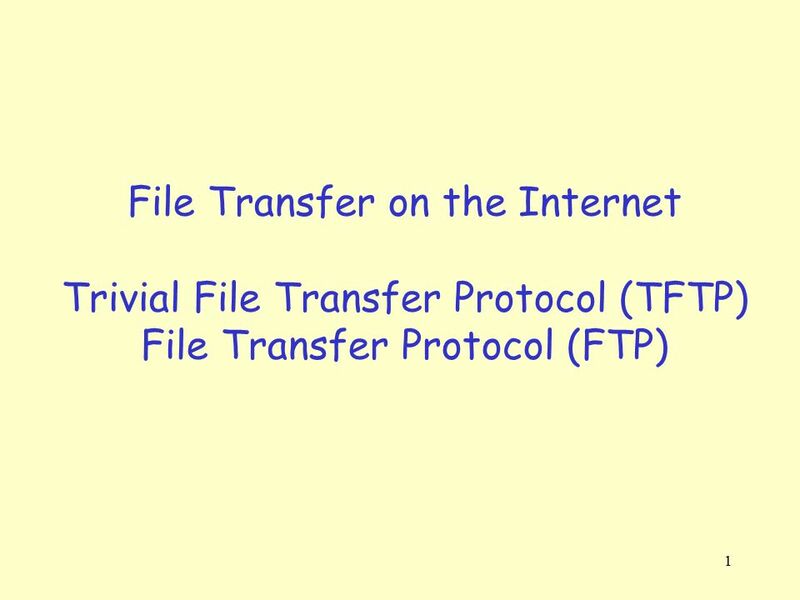 Download ppt "TFTP: Trivial file transfer protocol"
FILE TRANSFER PROTOCOL Short for File Transfer Protocol, the protocol for exchanging files over the Internet. FTP works in the same way as HTTP for transferring. 2: Application Layer1 ECE5650 FTP, , DNS, and P2P. 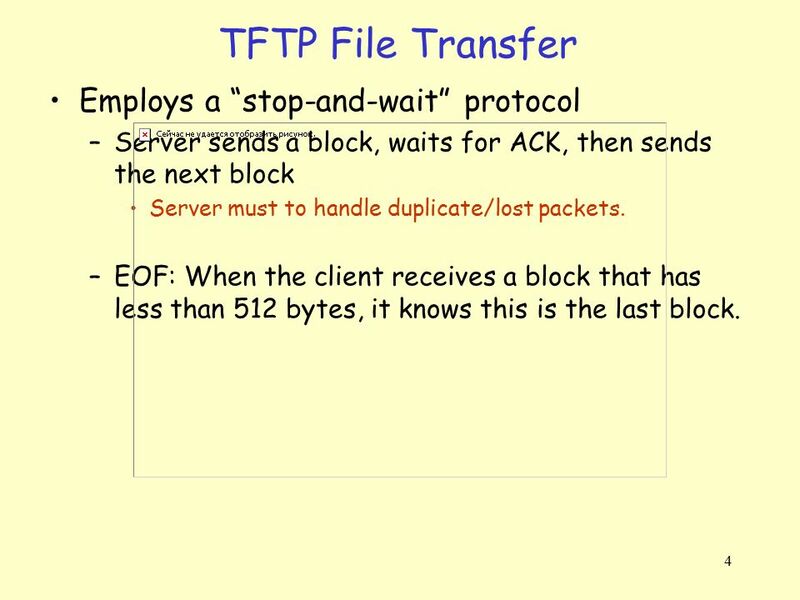 FTP – File Transfer Protocol. 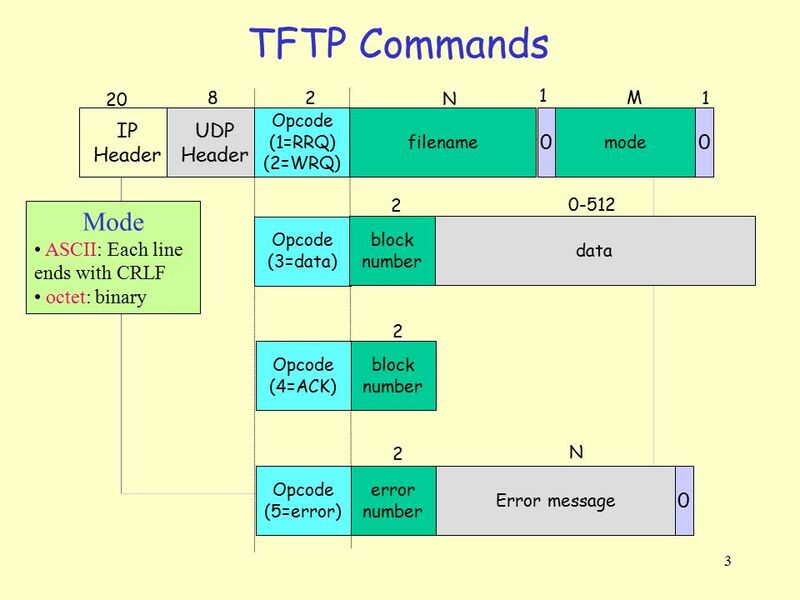 5 דברים שלא ידעתם על FTP FTP is commonly run on two ports, 20 and 21.ports FTP run exclusively over TCP.TCP FTP is separated. 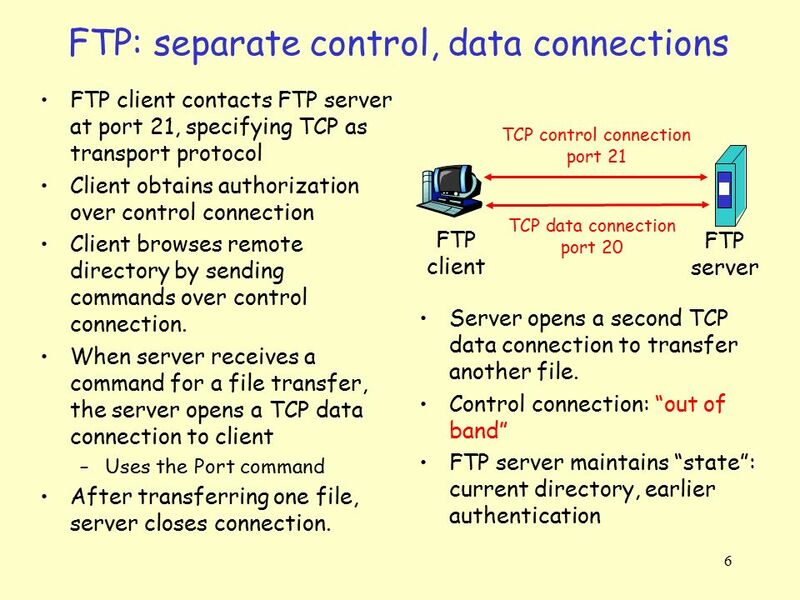 CPSC 441: FTP & SMTP1 Application Layer: FTP & Instructor: Carey Williamson Office: ICT Class. STFTP (Simplified Trivial File Transfer Protocol) MODULE #1. Chapter 2: Application layer  2.1 Web and HTTP  2.2 FTP 2-1 Lecture 5 Application Layer. Ftp: File Transfer Protocol  ftp specification: RFC 959 ( file transfer FTP server FTP user interface FTP client local. Introduction 1 Lecture 7 Application Layer (FTP, ) slides are modified from J. Kurose & K. Ross University of Nevada – Reno Computer Science & Engineering. 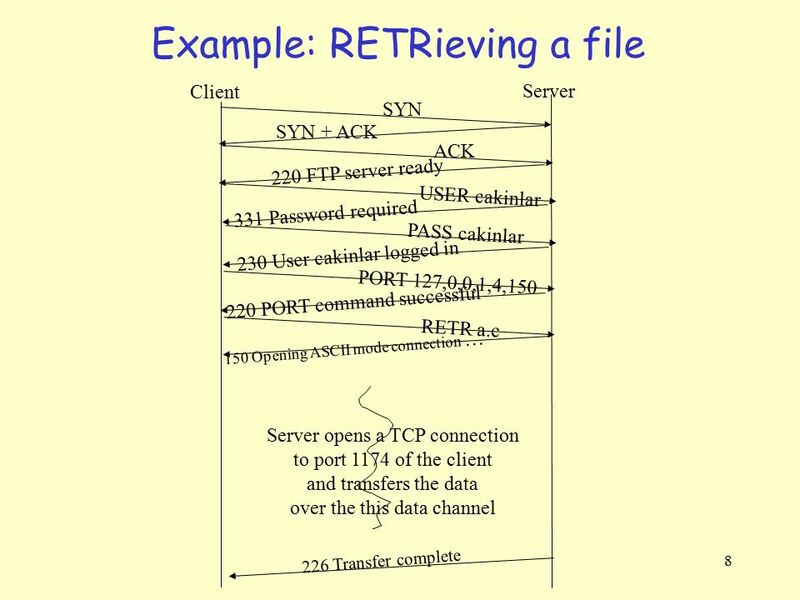 FTP File Transfer Protocol Reference: RFC 959. 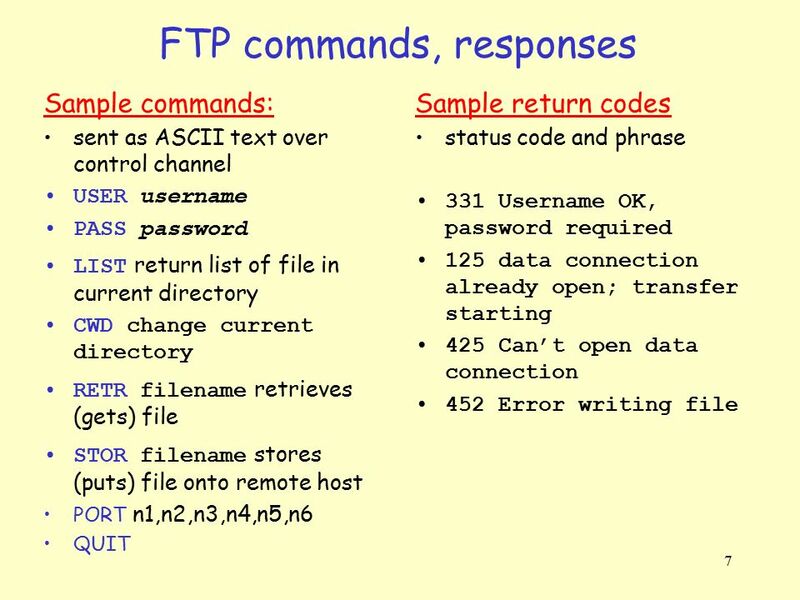 FTP Objectives (from RFC 959) n promote sharing of files n encourage indirect use of remote computers n.
John Degenhart Joseph Allen.  What is FTP?  Communication over Control connection  Communication over Data Connection  File Type  Data Structure.